Dr. Benz wants you to feel well. His primary goal is to eliminate your initial symptoms so you can be rid of pain as quickly as possible. Once your pain is gone, you’re in a better position to listen to the next steps for your optimal health. While studying for his Bachelor of Science degree in Biology at Minnesota State University, Dr. Benz was inclined toward natural healing. One of his roommates graduated from Palmer Chiropractic College in Iowa, and his roommate inspired him. Dr. Benz knew he didn’t want to teach biology, so he eventually entered and graduated from Northwestern College of Chiropractic. 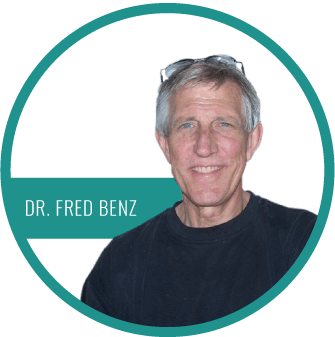 Dr. Benz’s background in biology and anatomy help him to explain to his patients what’s going on in their bodies … in simple terms. Patients who understand their bodies heal better. They better understand problems that are bogging them down. Are you in unnecessary pain? Leave your worries behind and contact us today. We look forward to hearing from you.